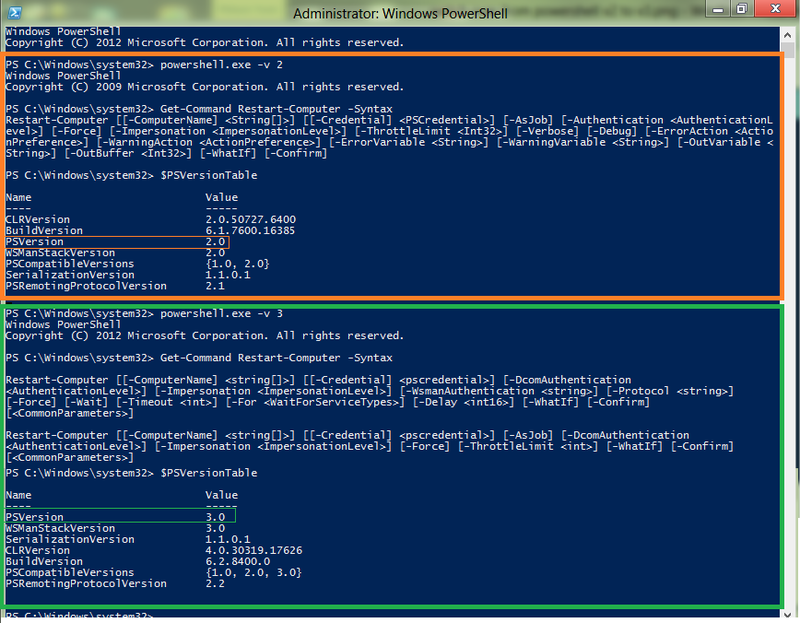 Hi Guys, Today i saw a cool way of switching over from PowerShell V2 to V3 in the same console, thought to share the same with you all.If i open a PowerShell V3 Console and run the below command it switches the powershell version to v2. 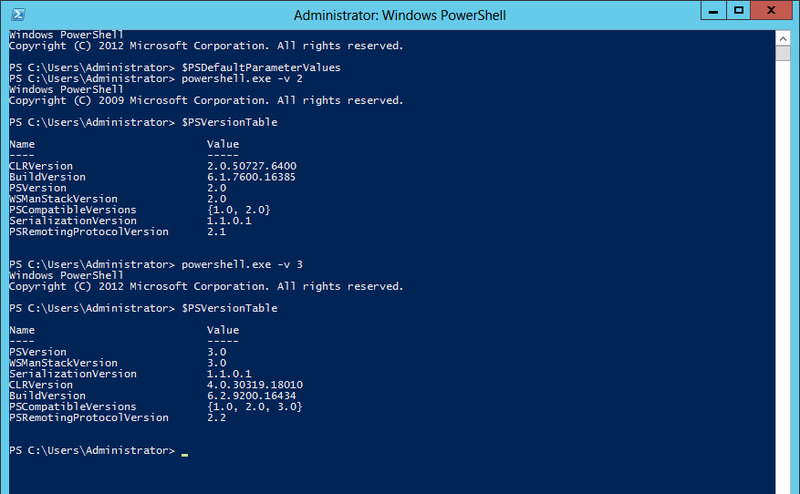 And if i do the same thing vice-versa it switches again back to PowerShell V3. Here’s i have illustrated the same with a screencap, as you can see i ran a syntax check for Restart-Computer cmdlet in both V2 and V3 and i was able to see V3 had -Wait,-For, -Delay etc which are the new set of parameters bundled with Restart-Computer cmdlet in PowerShell v3. I also confirmed the same with PSVersion info in $PSVersionTable.